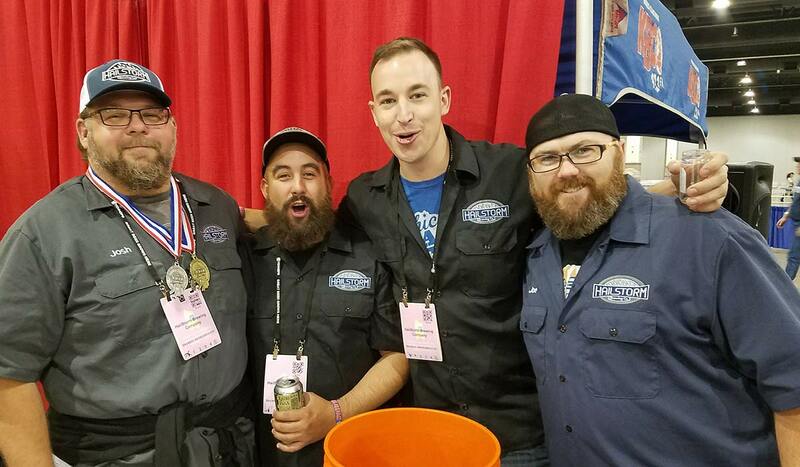 Suburban Chicago’s Hailstorm Brewing gained notoriety with its 2017 Great American Beer Festival (GABF) gold-medal winning IPA, besting more than 400 beers entered into the category. However, while national recognition is nice, Hailstorm Brewing exists as the quintessential community brewery in Tinley Park, Illinois. Well, as they say, the hop doesn’t fall too far from the vine. 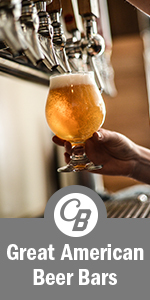 Banbury took up homebrewing while also amassing eight years experience in food and beverage plant systems and civil engineering. In 2014, Branbury and fellow homebrewer Chris Schiller decided to turn a brewing hobby into a profession by opening Hailstorm Brewing. Not unlike severe thunderstorms that start as unimposing, fluffy white clouds, Hailstorm Brewing developed slowly. Now barely into its fifth year of operation, Hailstorm has grown into a household name in the Chicago area. 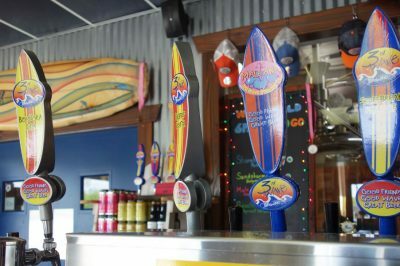 It has expanded its operations, notably by grafting adjacent office spaces into its original office-park taproom space. The extra square footage will allow Hailstorm to soon add a kitchen, patio area and a beer hall that plays on the German Biergarten model. The Hailstorm expansion does not entail mass-distribution models or opening new locations. Instead, it focuses on enhancing its taproom experience, including offering more beer. With viniculture, coopering and brewing in its DNA, it’s not surprising that Hailstorm’s production includes an array of barrel-aged brews. Visitors to the taproom will discover a floor-to-ceiling wall of barrels alongside its rows of towering shiny, silver brewing tanks. In fact, Banbury ended his discussion of the expansion as only a brewer would discuss the matter. 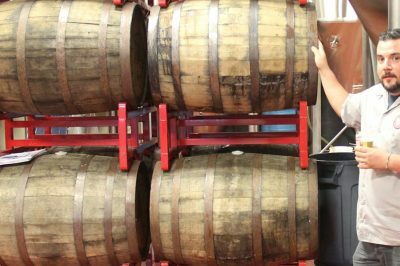 “I might put the sours in that space (pointing in one direction) and the barrels over there (pointing to another direction). I’ll have to think about it,” he says. Barrels are not the only new items customers are discovering on the Hailstorm menu these days, either. The Hailstorm Brewing portfolio has grown substantially, including adding a trifecta of New England-style IPAs to the mix. A great attribute of craft brewing involves the sharing of brewing ideas. Banbury’s visit to the 2016 Craft Beer Conference in Philadelphia is case in point. While there, he ventured over to Tired Hands Brewing to sample a collection of its hazy IPAs. Those beers inspired him to research the style. And Hailstorm Cirrus, Stratus and Nimbus NE IPAs were born. The New England or Northeast beer style is one of many Banbury never imagined brewing when Hailstorm Brewing opened. “It has evolved. We brew so many different styles now. I never thought I’d be doing this many lagers,” he says. One of those lagers, Hailstorm Brewing Rock Out with Maibock Out, twice won silver in the bock category at GABF, so he must be on to something. “When we first started out … we thought we would mostly do off-the-wall stuff,” Banbury says. That mentality to brew unique beer is evident in its annual, popular collaboration with nearby 350 Brewing — also in Tinley Park — called, “Howdy Neighbor,” a strawberry-lemon Kolsch-Style ale. It was so popular, in fact, Banbury brewed 180 barrels of it in 2017, and the two breweries re-released it in April 2018. 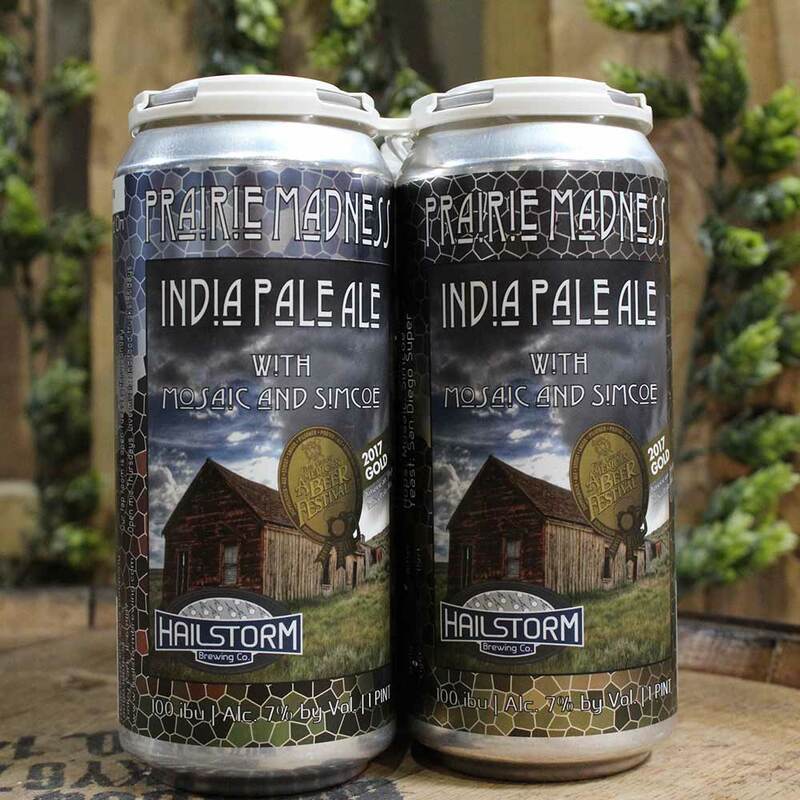 The aforementioned collaborations are two of many for Hailstorm, which is fitting for a brewer who also serves on the board for the Illinois Craft Brewers Guild, and one whose No.1 desire is to operate as a great community brewery. Hailstorm continues to self-distribute and self-market. Banbury’s wife, Emily, can regularly be seen at events and the taproom. The two of them, and the hard-working staff, remain laid back, humble and personable. After spending most of his life chasing tornadoes, Mathew decided to chase beer as writer, historian and drinker. 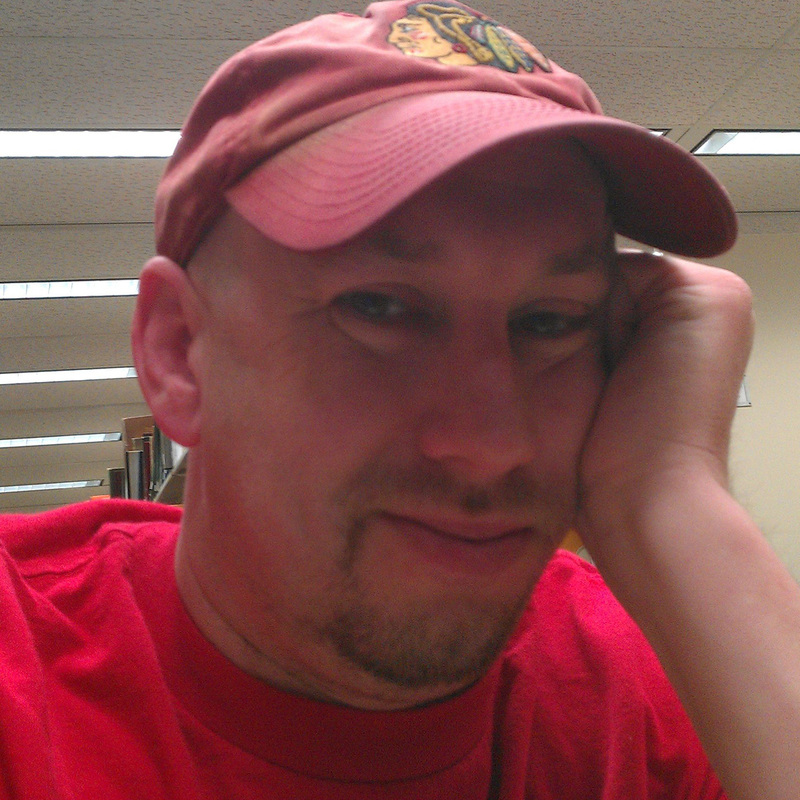 He possesses a Master's in Written Communication and History and he’s published regularly in print and digitally on various beer and spirits publications. When he’s not writing (or drinking beer), he’s spending time with family, watching sports, reading history books and dreaming of classic cars he can’t afford. How do you sell craft beer in a macro beer town? 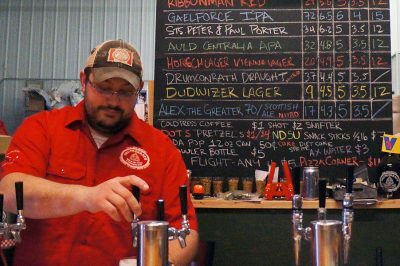 If you’re Drumconrath Brewing in Mapleton, North Dakota, you convert beer drinkers one person at a time. Every surfer knows the biggest, best wave of a set is the third. Two friends who met in a surf town transform their homebrewing hobby into 3rd Wave Brewing. From the urban streets of Chicago to the Mississippi Delta and from riding bulls to brewing beer, it’s been quite a journey for Greg “Mexico” Mendez.